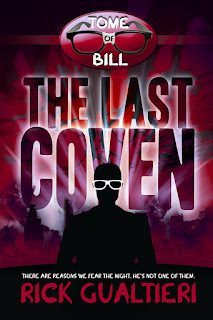 The Last Coven - The Tome of Bill 8 - is coming FEB 10 to all major ebook platforms. It's the end of this crazy road, so to speak. To help celebrate this grand finale, I'll be posting short stories detailing snippets from the lives of various characters from series. We've heard from Bill, Sally, and Sheila. Now it's time to get inside the head of some of the others, and let them take center stage for a few moments. I step outside and spot my quarry. He’s sitting on a concrete stoop in front of a fountain, enjoying a hotdog he must have purchased for lunch. He looks so normal, so mundane, but I know he’s not. He is a wolf in sheep’s clothing, a slave to darkness, a thrall. I know that what I am doing is necessary for the survival of my people. If I fail in my mission then disaster could strike. Our lives, our entire history, could be erased, scorched from the face of this world in a torrent of white fire. The prophecy is quite clear on that point. Nevertheless, I hesitate in approaching him. Though I know what must be done, a part of me resents the role I am forced to play. For over a decade I’ve studied the art under Mentor Decker. I have worked hard to perfect my craft, spent many a sleepless night invested in one form of advanced spell-crafting or another. I have been called a prodigy, a natural adept. 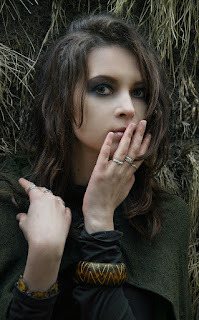 Indeed, my master has often told me that I am his favored pupil, his trusted second in our coven. Yet, here I am, being asked to play the part of the whore, to willingly give my body to this shell of a man who sits before me. None of my sisters have drawn such a demeaning task. Most of them sit and wait – scrying the portents, looking for signs. The master has assured me that he too is forced to suffer for this task, gathering intelligence so as to fend off our fate. Yet, I’ve seen him. He used his magic to secure a place of power within the beast’s workplace, supposedly a facade until he was ready to strike. Despite his claims otherwise, I have caught him admiring the expensive suits he has procured for his new station, the shiny Rolexes he now wears. I asked him why not just create the illusion of such, a glamour to fool the lesser minds, but he waved me off. He told me illusions can be defeated, that the stakes were too high for such. We must make this as real as possible so as to remain undetected. So, too, was his logic upon my suggestion to simply ensnare this human thrall. Mind magic has always been a specialty of mine. Such a thing would be child’s play. The fury in my master’s eyes convinced me to question him no further. But now, with my assigned task finally at hand, I find myself wondering whether there was something else in his eyes too. It is nearly heresy to think it. He is my mentor, my teacher, practically a second father to me. But I can’t help but wonder if he is being driven mad by the events that are transpiring. I almost turn around and go back to the desk that has been my daytime home for the past three months. It is not nearly as prestigious a position as that which my mentor procured for himself. My job is that of a mere marketing coordinator in the firm within which my quarry bides his time. However, since day one, I have been continually surprised to find that I actually enjoy my work assignments. Not only that, but I’m good at my job too. It shouldn’t be surprising. As a Magi, I have been continually taught to think outside the realms of the box that humanity seems intent on sequestering itself in. Nevertheless, I would be lying to myself if I were to claim I wasn’t growing fond of this façade of normalcy I have undertaken. That thought stops me in my tracks. If I fail, there won’t be any normalcy – not for me, my sisters, my mentor, or any of the other Magi who live in the shadows of this world. They will all burn in the white fires of so-called faith. None of them deserve that fate. I turn back and steel myself for what is to come. Fear grips my stomach, not only for what I must do, but what it could mean for me. This human is the thrall of the Freewill. There is no telling what dark machinations have been put in place in his mind. I will defend myself if needed, but I have no delusions. Mentor Decker has warned me of the power against which I am positioning myself. An almost panicked look appears on his face. Perhaps it was a mistake to announce that I knew his name. He’s no doubt been warned against such things. I brace myself for whatever comes next. My mentor has prepared me well. Despite lacking the power of their masters, thralls will not hesitate to fight or die to protect those pulling their strings. He stands up, facing me. I begin to gather power inside my closed fist, but remember that it’s midday in the busiest city of the country. I need to be careful. I prepare to cast a glamour around us, one that will let me deal with this fiend should the need arise. Something about his voice is disarming. My paranoia insists it’s some dark thrall power I’m not aware of, but somehow I don’t think so. His tone is so ... innocent. An awkward silence ensues between us as I try to process this. My mouth stretches to a grin, then to a full blown smile. Within the next second, I’m laughing. I know I shouldn’t be, but I am. The funny thing is, he’s wrong. A part of me still insists I should keep my guard up, be prepared for anything, but nevertheless I just can’t seem to summon that earlier dread I was feeling. Interesting. 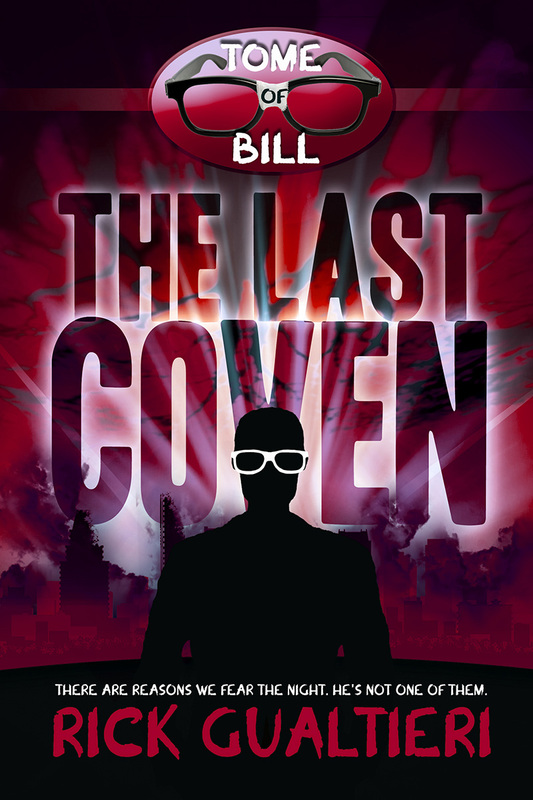 Bill said in Holier Than Thou that Decker and his coven would still be alive if they hadn't gotten involved in the hunt for the being who was prophesized to destroy them. Given the information above, I think Decker actually sealed the deal when he made Christy "whore" herself to Tom in order to get close to the Free Will. Can't wait to see how Christy's story plays out in Last Coven. I loved it! Can't wait for the next... that should be interesting! Keep'em coming my man!